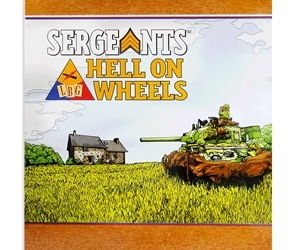 Sergeants Hell on Wheels is an expansion of the Sergeants skirmish game system. It is playable with both Sergeants Miniatures Game and Sergeants D-Day products. Each Vehicle Module is sold separately and adds to the Sergeants Hell on Wheels expansion.